Hypo-allergenic soothing mask with anti-inflammatory properties. 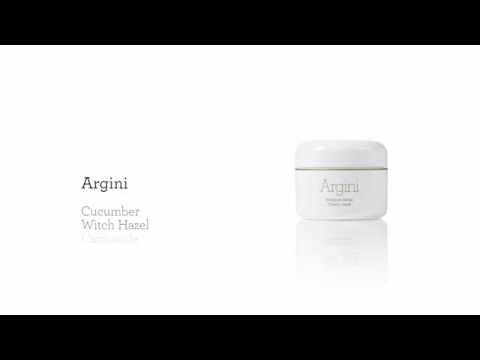 Argini is suitable for sensitive skins of all ages. Kaolin. Extracts of camomile, witch hazel and cucumber. Sweet almond oil. Brings essential fatty acids, soothing. Suitable for all skin types but particularly recommended for sensitive and inflamed skins. Argini mask is soothing and suitable for any fine or sensitive skin. With its anti-inflammatory and astringent actions, Argini leaves your skin cleared and calmed. After cleansing your skin, apply 1/2 teaspoon of Argini by light massage all over your face and neck. Leave for 10 minutes and remove with lukewarm water. Then, carry on with your usual daily routine. 3 out of 3 (100.00%) reviewers recommend Argini to their friends. Just wow. I was skeptical when the salon explained Argini, but I thought even if half true, I'd be very happy. It delivers 120% on the promises! Argini is absolutely fantastic, although a little expensive which is the ONLY reason for 4 stars. I was certainly surprised when this mask lived up to it's claims. I'm very happy with the results of this one. [post_content] => Hypo-allergenic soothing mask with anti-inflammatory properties.